Karl Gideon Augustsson/Svensson was born September 12, 1887, in Torsas, Kalmar Co., Sweden, and died May 15, 1980, in Miles City, Custer Co., MT, at age 92. Buried in Calvary Cemetery, Miles City, Custer Co., MT. He was the son of August Svensson of Stenbäck, Sweden, and Ingrid Larsdotter of Fröbbestorp, Kalmar lan, Smaland, Sweden. Barbara Mary Kary was born April 24, 1889, in Landau, Kherson, Bereson (Shyrokolanivka) So. Russia, Ukraine , and died December 25, 1986, in Friendship Villa, Miles City, Custer Co., MT, at age 97. Buried in Calvary Cemetery, Miles City, Custer Co., MT. She is the daughter of Valetin Kary of Landau, Beresan, Odessa, Russia, and Rosa Maria Fleck of Landau, Beresan, Odessa, Russia. 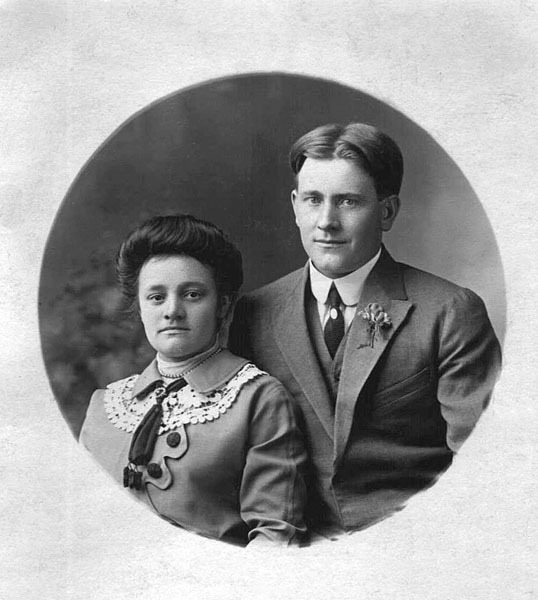 Karl Gideon Svensson and Barbara Mary Kary were married December 24, 1917, in Miles City, Custer Co., MT. Karl Gideon Swanson and Barbara Mary (Kary) Swanson had no children. 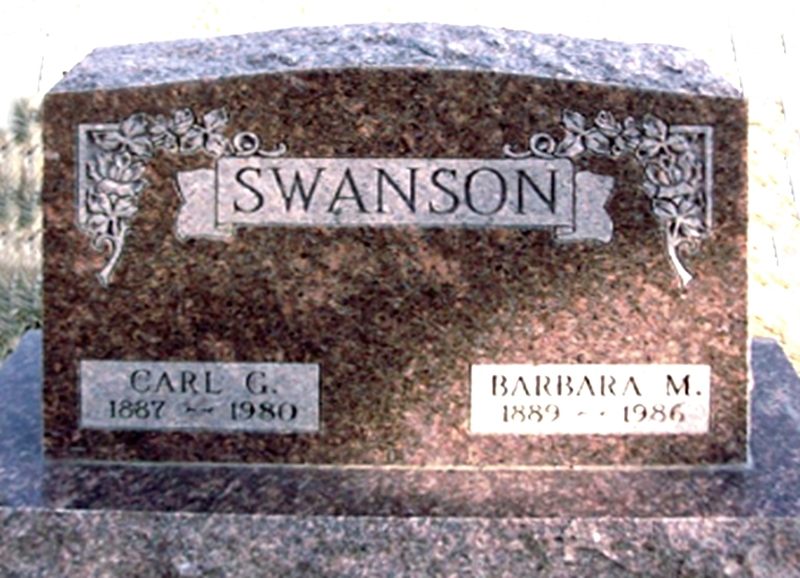 Karl Gideon Swanson and Barbara Mary (Kary) Swanson are buried in Calvary Cemetery, Miles City, Custer Co., MT. Thanks to Find-A-Grave for making this image available. 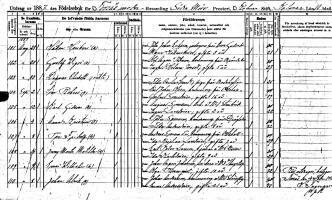 Karl Gideon Augustsson/Svensson Birth Record. Barbara Mary Kary was born April 24, 1889, in Landau, Kherson, Bereson (Shyrokolanivka) So. Russia, Ukraine. 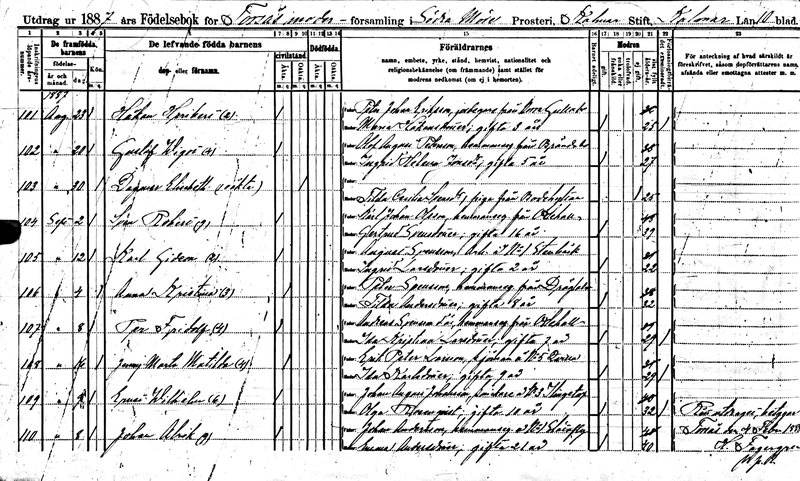 Barbara Mary Kary came to the USA, leaving Hamburg, Germany October 24 , 1903, aboard SS Moltke, travelling with her parents and family. Barbara Mary Kary Immigration Record. Barbara Mary Kary came to the USA in 1903 and settled in Richardton, Stark Co., ND. She came to Miles City, Custer Co., MT, in 1911. Karl arrived in the Port of New York April 18, 1912, and changed his name at that time to Carl Gideon Swanson, and moved to Miles City, Custer Co., MT, where he worked for the Milwaukee Road railway. He served in the US Army in WWI in France. He resumed working on the Milwaukee Road railway following his military service, retiring as a car man in 1952. 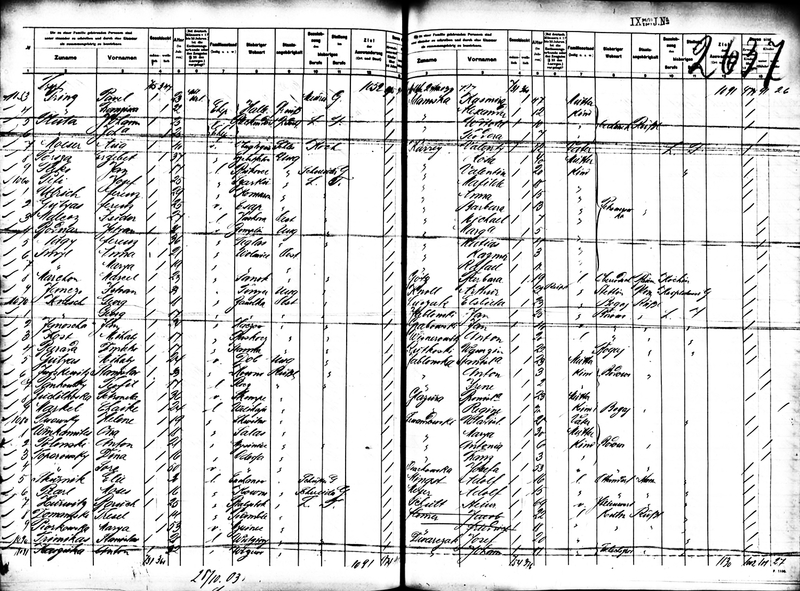 The 1910 U. S. Census taken on April 13, 1910, shows shows Valentine Kary (age 53) born in Russia to German and Russian-born parents having emigrated in 1908 and of PA naturalization status is a General Farmer owning his own farm free of a mortgage and is living in Twp. 144 Range 97, Dunn Co., ND. Living with him is his wife of 26 years, Rose M. Kary (age 48) born in Russia to Russian-born parents, with 8 of the 14 children born to her still living. Also there are Carl's unmarried children all born in Russia to Russian-born parents: Barbra Kary (age 21); Michael Kary (age 14), a Farm Laborer on Home Farm; Mathias Kary (age 13), a Farm Laborer on Home Farm; Maggie Kary (age 11); Kasimer Kary (age 9); and Ralph Kary (age 8). Karl Gideon Swanson as a young man. 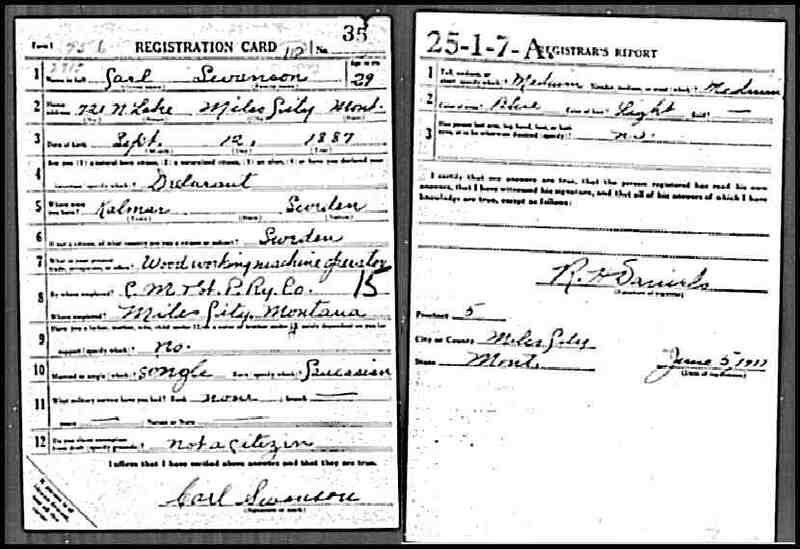 The WWI Draft Registration Report dated June 5, 1917, shows Carl Swanson, born in Kalmar, Sweden, single, not a citizen, living at 721 N. Lake Street, Miles City, Custer Co., MT, and employed as a Wood Working Machine Operator for the Chicago, Milwaukee, St. Paul and Pacific Railroad. Blue eyes and Light color hair. The WWI Draft Registration Report for Carl Swanson. Carl Gideon Swanson and Barbara Mary Kary were married December 24, 1917, in Miles City, Custer Co., MT. 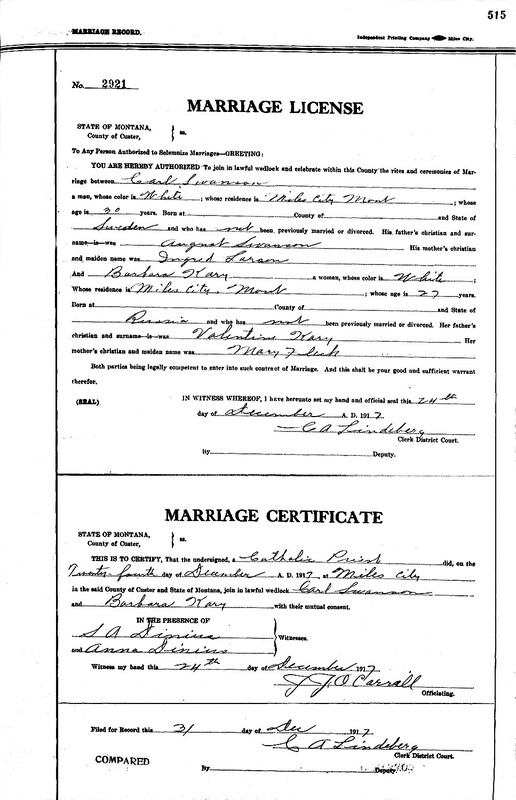 Carl Gideon Swanson and Barbara Mary Kary Marriage Records. Carl Gideon Swanson and Barbara Mary (Kary) Swanson as a young couple, possibly a wedding picture. 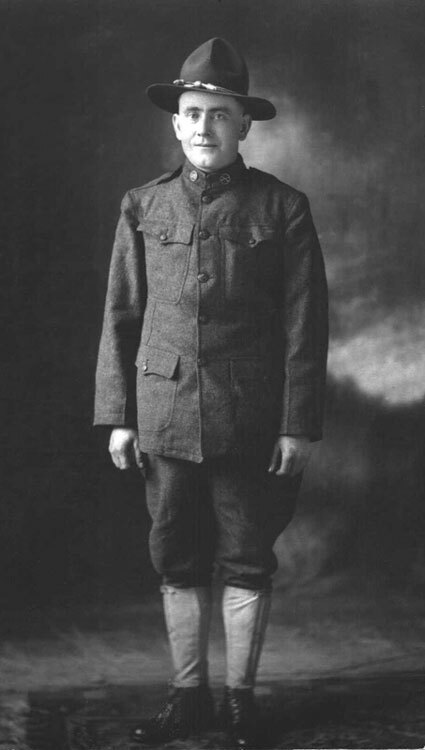 Carl Gideon Swanson in his U. S. Army uniform in WWI. 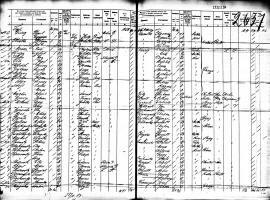 The 1920 U. S. Census taken on January 14, 1920, shows Carl Swanson (age 32) born in Sweden to Swedish-born parents, and having emigrated in 1915, with Alien status, is a Machine Operator for the Railroad, and is renting his home at 809 North Lake Street, 3rd Ward, Miles City, Custer Co., MT. Living with him is his wife, Barbra Swanson (age 30) born in Russia to Russian-born parents, and having emigrated in 1903, with Alien status. 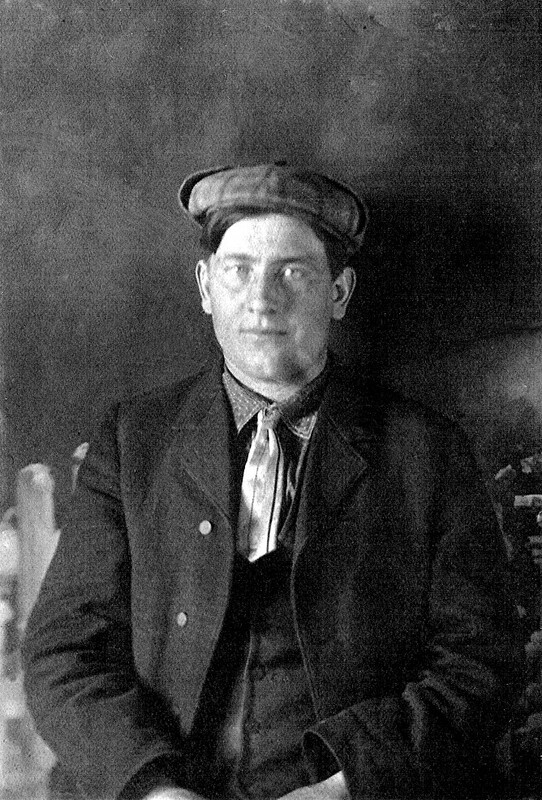 Also there is Carl's unmarried brother: Pete Swenson (age 27) born in Sweden to Swedish-born parents and having emigrated in 1915 with AL naturalization status, a Machine Operator for the Railroad. In addition, living there are Barbra's unmarried brother and sister: Ralph Kary (age 17) born in Russia to Russian-born parents and having emigrated in 1903 with AL immigration status, a Railroad Laborer; and sister Margaret Kary (age 11) born in Russia to Russian-born parents and having emigrated in 1903 with AL immigration status, a Laundry Laborer. A roomer, Oscar Erickson (age 41), also lives there. The 1930 U. S. Census taken on April 4, 1930, shows Carl G. Swanson (age 42) born in Sweden to Swedish-born parents and having emigrated in 1910 is a Carpenter in Bar Shops who owns his own home worth $1,200 and is living on Riverside Road, rural Miles City, Custer Co., MT. Living with him is his wife, Barbara C. Swenson (age 40) born in Russia to Russian-born parents and having emigrated in 1903, a Laundry Worker at a Hospital. 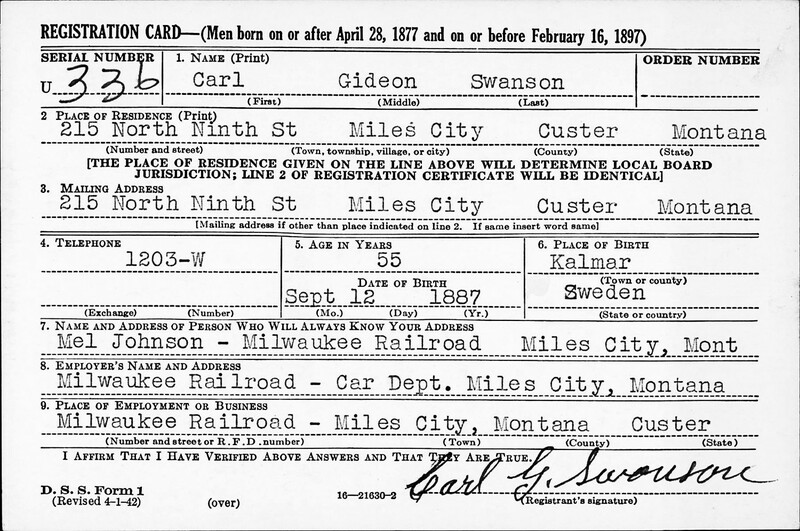 The 1940 U. S. Census taken on April 3, 1940, shows Carl G. Swanson (age 42) born in Sweden, and 5 years ago was living in the Same Place, and with 8 years of School, and a Naturalized Citizen, is a married Welder at a Steam Railroad Car Repair Department, and who owns his home worth $2,500 and is living at 215 North 9th Street, 1st Ward, Miles City, Custer Co., MT. Living with him are: his wife, Barbara Swanson (age 50) born in Russia, and 5 years ago was living in the Same Place, and with 8 years of School, and a Naturalized Citizen; and an unmarried Lodger, Edwin E. Zieman (age 21) born in North Dakota, and 5 years ago was residing in Mercer Co., ND, and with 1 year of High School, a Car Salesman at a Garage. 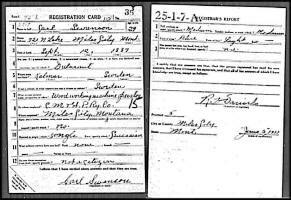 The WWII Draft Registration Report dated April 27, 1942, shows Carl Swanson, age 55, born September 12, 1887, in Kalmar, Sweden, living at 216 N. Ninth Street, Miles City, Custer Co., MT, and employed in the Car Department for the Milwaukee Railroad. Blue eyes and Blonde color hair and Light Complexion. 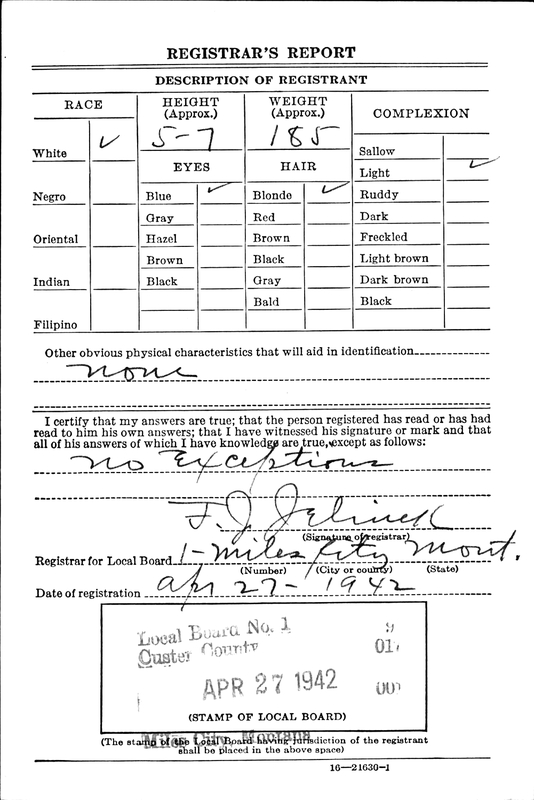 The WWII Draft Registration Report for Carl Swanson. 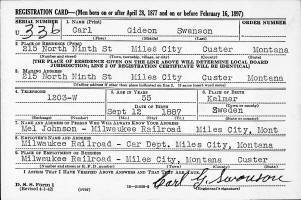 Carl Gideon Swanson died May 15, 1980, in Miles City, Custer Co., MT, at age 92. Buried in Calvary Cemetery, Miles City, Custer Co., MT. 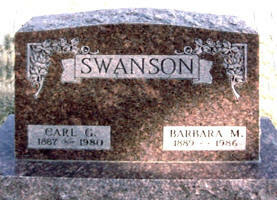 Barbara Mary (Kary) Swanson died December 25, 1986, at Friendship Villa, Miles City, Custer Co., MT, at age 97. Buried in Calvary Cemetery, Miles City, Custer Co., MT. MILES CITY - Barbara Mary Swanson had lived in Miles City since 1911 and worked at the Miles City Laundry and Holy Rosary Hospital during World War II. She was a member of Sacred Heart Altar Society. Mrs. Swanson, 97, died Thursday morning in Friendship Villa. She was born in Odessey, Russia, a daughter of Valintine and Rose Mary Flack Kary. She came to the United States in 1903, living in Richardton, N.D., before moving to Miles City. 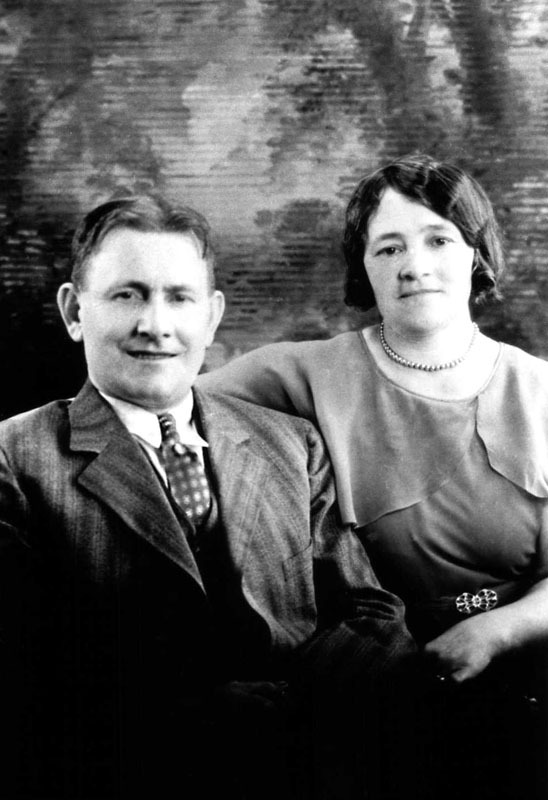 On Dec. 24, 1917, she married Carl G. Swanson in Miles City. He preceded her in death. There are no known survivors. Rosary will be said at 8 p.m. Sunday in Stevenson and Sons Funeral Home. Mass will be celebrated at 2 p.m. Monday in Sacred Heart Catholic Church with burial in Calvary Cemetery.